Thanksgiving is one of my favorite holidays for the obvious reasons such as family, food, and compressing all of the year’s gratitude into one waist-expanding day. I especially enjoy all of the wonderful, traditional foods that accompany the meal such as turkey, mashed potatoes, and stuffing, but I’ve never really been a huge fan of cranberry sauce. I love cranberries, but the red jellied concoction that often comes from a can was just never something I looked forward to eating. Maybe it’s the weird grainy texture of the jellied version or the tart yet cloyingly sweet flavor profile, but I just never really wanted it on my plate. Nonetheless, my love for cranberries in general won out when I created this recipe. It takes homemade cranberry sauce, but gives it a savory twist with shallots, garlic, and vinegar. 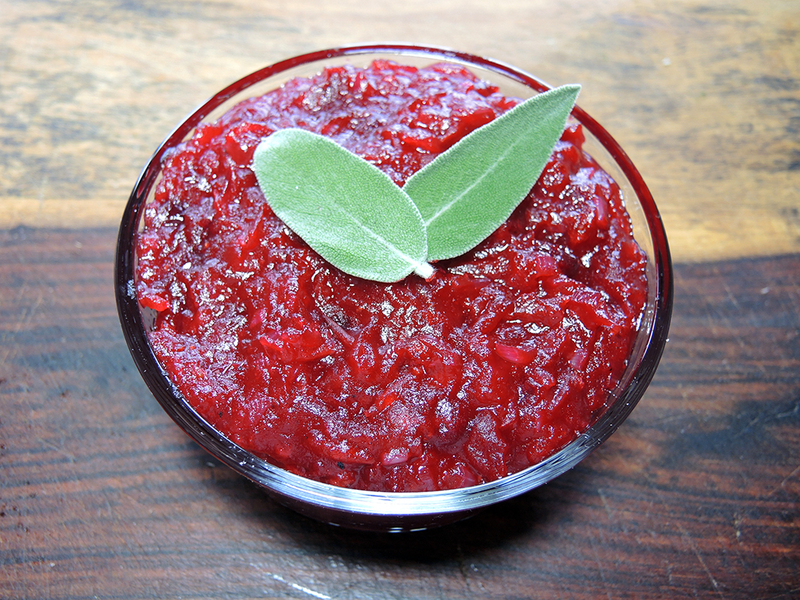 Of course, the sugar balances out the naturally bitter and tart flavor of the cranberries, but in general, this chutney feels more at home on my plate than traditional cranberry sauce. This is a very simple recipe, but after mastering it, I encourage anyone to try mixing it with additions like a little fresh sage, orange zest, crushed clove, or even cinnamon. Personally, this basic version gets the job done, but it is a good starting point for the more adventurous. Use it as a topping for turkey (especially drier white meat), stuffing, or just eat it as a side. 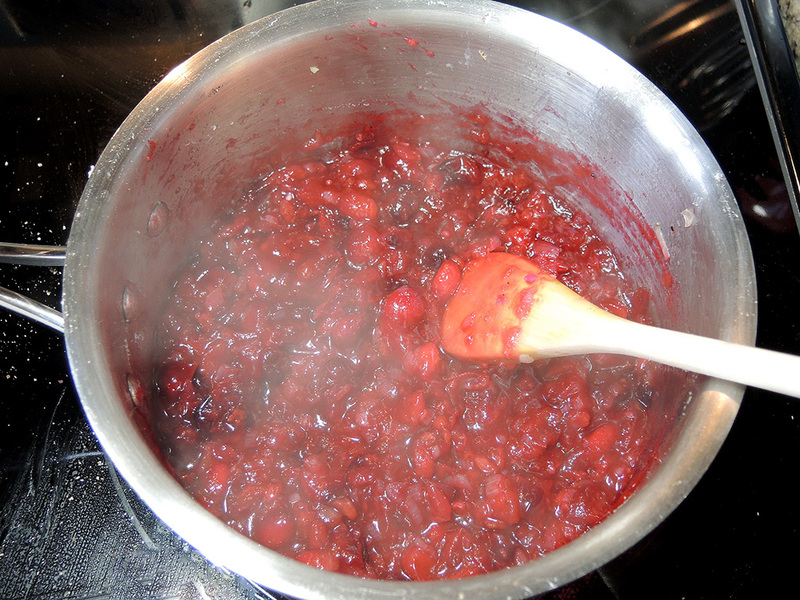 Makes about 2 cups of cranberry chutney at 23 – 29 calories per tablespoon. No frills cranberry chutney from scratch. Note: A 1/2 cup will yield a more tart chutney while 3/4 cups will balance the tart with the sweet better. Optional: If you want to make a spicy chutney, at 1/8 teaspoon of cayenne pepper, but the recipe is ideal without the heat. Rinse 12 oz. 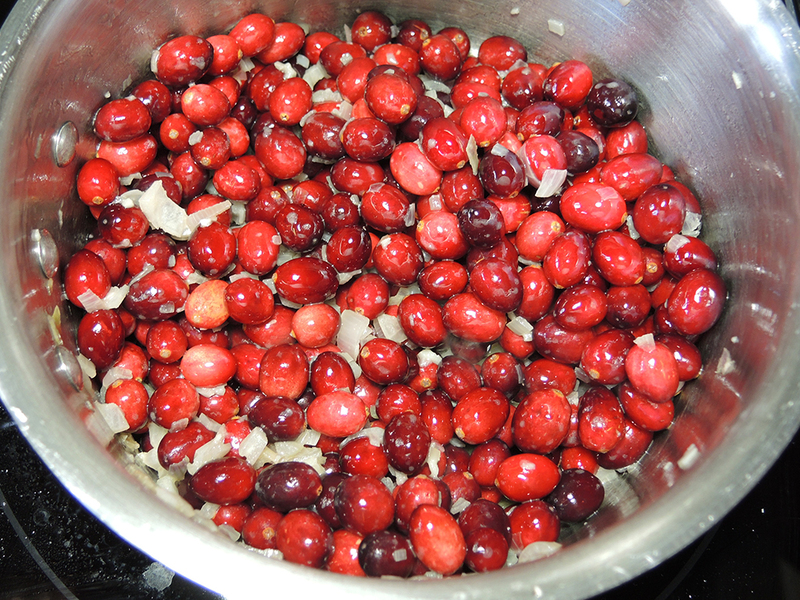 (3 cups) of fresh cranberries and let them drain. 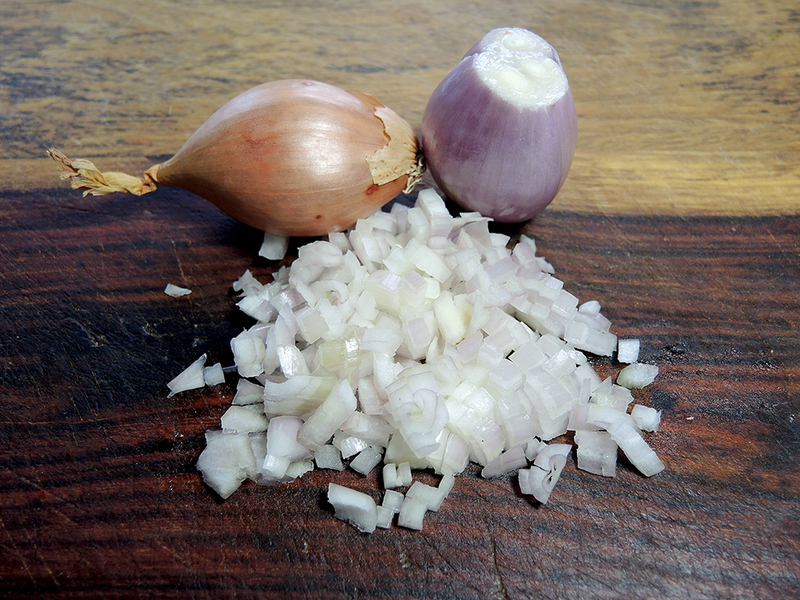 Dice three medium sized shallots. 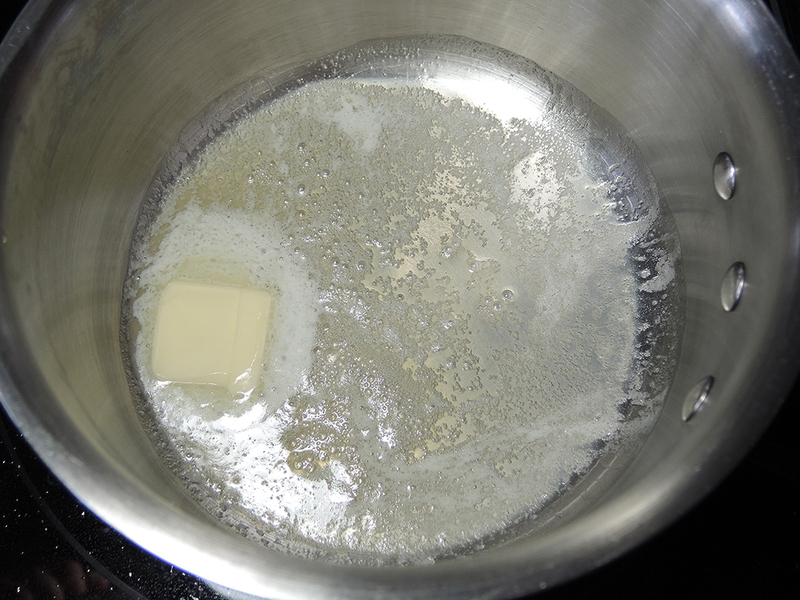 Melt 1.5 tablespoons of butter over medium heat. Add in the shallots to the melted butter and cook them down until translucent. You don’t to brown or burn them. 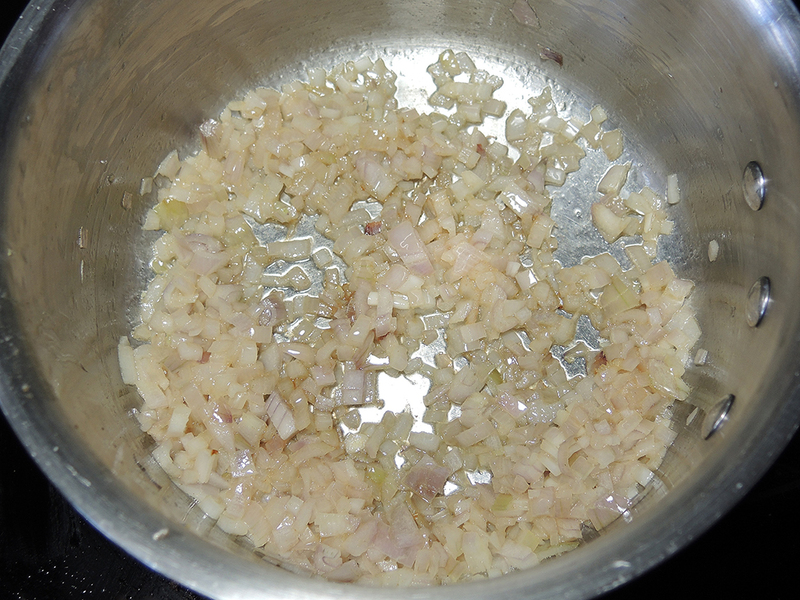 Add in the crushed clove of garlic to the shallots and stir frequently so as not to burn the garlic. 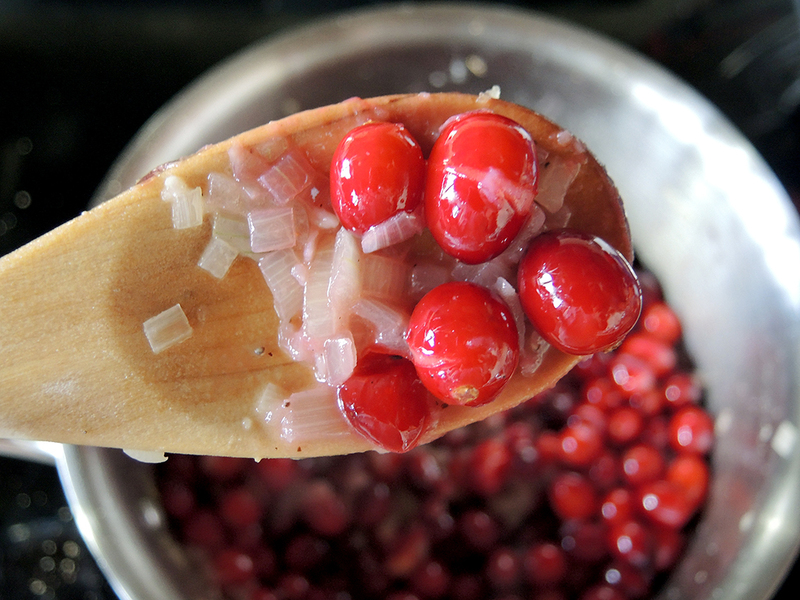 When the garlic is fragrant, add in the cranberries to the pot and mix thoroughly. Keep stirring the cranberries every 30 seconds or so until the cranberries start to split. You may hear some popping sounds as the cranberries burst. 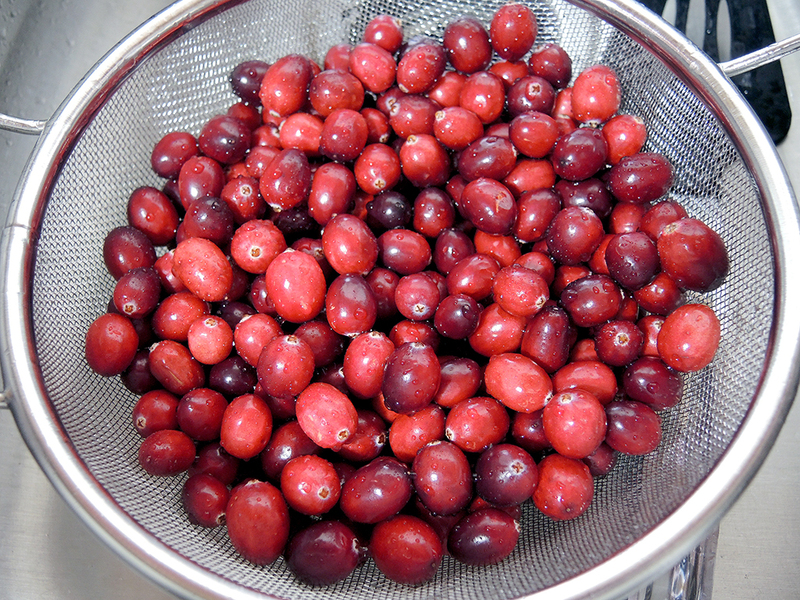 When the cranberries are soft and easy to crush, use a potato masher (or a large spoon if you don’t have one) to lightly crush the cranberries. You don’t want to completely obliterate the cranberries. The ideal texture is somewhere between solid cranberries and a total puree. Add in the sugar to the cranberries and mix everything very well. 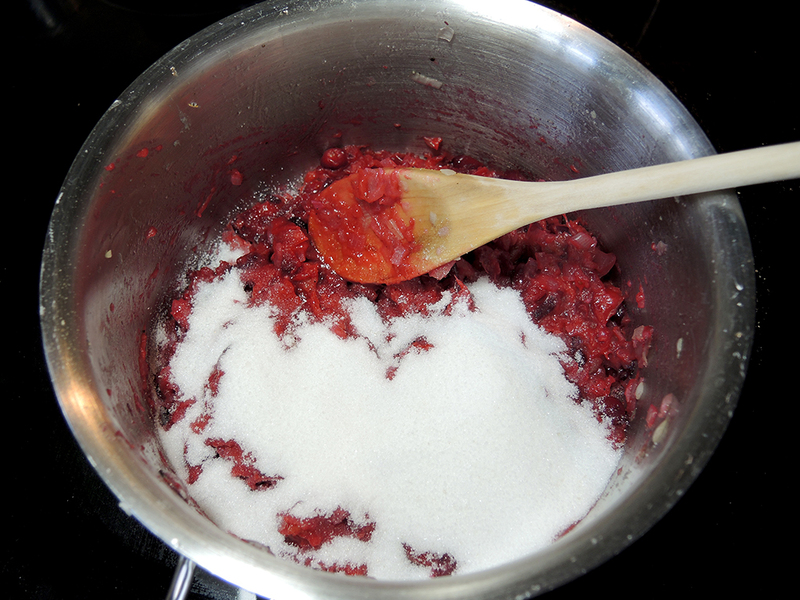 With the sugar mixed in, let the mixture simmer over medium to medium-low heat while you stir for a couple of minutes. This is to mildly caramelize the added sugar and incorporate the flavors. Add in the three tablespoons of apple cider vinegar, the 3/4 teaspoon of salt, and a pinch of crushed black pepper. Stir everything really well and stir occasionally over medium heat so as not to burn the chutney. Once all of the ingredients are well incorporated, remove the chutney from the heat, mix well, and set aside to cool down a bit. 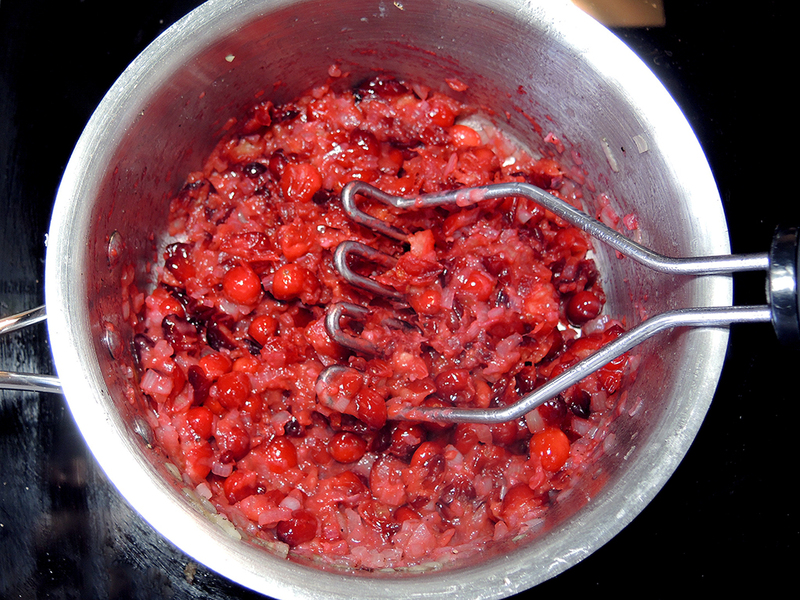 Serve the two cups of cranberry chutney as a topping or even as a side dish for your favorite meal. I, personally love it over smoked turkey. This cranberry chutney is especially great for adding flavor and moisture to drier white meat turkey.